How can you download it in Minecraft? I updated an old Let'sPlay-Modpack from 1.8 directly to 1.12.2 and all drawers disappeared from the world. Is there a way to fix this? Update though other versions? 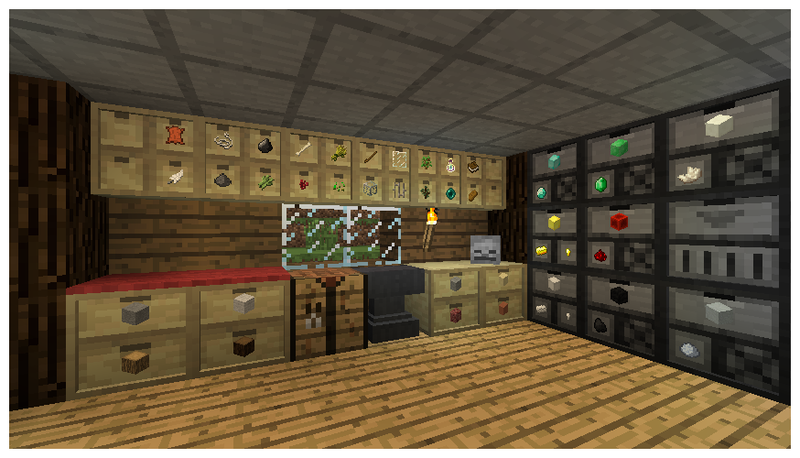 I think it would be a great mod but I've got a problem: Whenever I try to put any item in a Drawer, the game crashs. I'm using the Life-in-the-Woods-Modpack with Minecraft Version 1.7.10 and the latest Version of Forge (and a few other Mods). Is there maybe a problem with dynamic lights or the Extreme-Shader? I hope you have some solutions for me. Thank you. Just wondering with the drawer controller and pipes what happens if you try to pipe something into it that doesn't already exist in the storage network? Does it just disappear as I don't seem to be finding my test items anywhere. I'm using integrated tunnels (logic cables and item exporters) if that makes any difference. I tried hooking up a chest after the controller on the cable but everything just ended up there instead of going into the drawers. 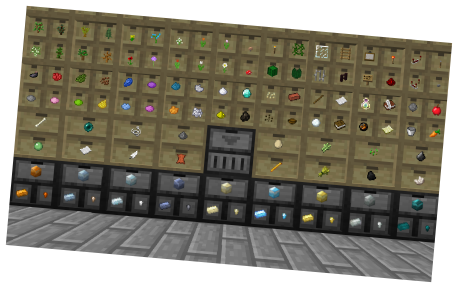 Hello , i have a small Problem , i can´t see how many Items are in the Drawers , i used 1.7.10 and modified my mod pack , before this i could see the amount of items ?!?! I tried to use this mod with Redpower Transportation by connecting the Routed Interface Pipe to the draw controller, but the pipe won't connect to the controller. The Request pipe is also unable to see the items inside the normal drawers. This use to work over a year ago. does it work with 1.12.1? Yes, the most recent version does. It will show once you make it for the first time. I'm playing on the Minecraft 1.7.10. When I use these Storage Drawers with WAILA, it only shows how many stacks there are in the drawer. Is it possible to see the total amount of items with WAILA?